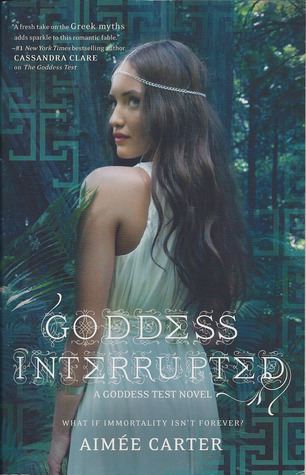 ”The Goddess Interrupted is the second installment in the ‘Goddess Test’ series. I loved the first book in this series- ”The Goddess Test” and really loved the unique concept and twist in Greek myths. This book was bit slow going compared to the first book but I still enjoyed reading. Kate is back with her Husband Henry but he seems very distant. She believes that he is still in love with his first wife Persephone who left him for a mortal. Kate is immortal now but there is some greater power which can snuff her out along with the other gods whom she thought were untouchable. Cronus is back for his revenge and an insider helped him to escape. As everyone is fighting a lost battle with Cronus it is up to Kate to find a way to help her husband and other Gods. But for that she has to seek out someone’s help whom she never dreamed or wished of meeting, Henry’s first wife. My rating: 3 out of 5. Other than the fact that it was slow moving, I like the story. I recommend this series to those who love reading stories about Greek Myths. Yay! here goes another series, completed. 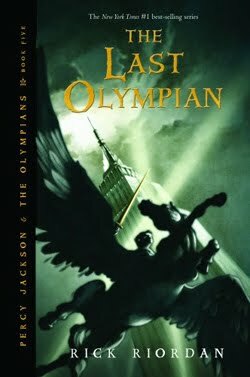 ”Percy Jackson and the Olympians” was a thrilling and exciting journey and I am glad that I picked this series to read. ”The Last Olympian” is the final installment and it was a real joy ride. For four previous books, I felt like Percy was very BLAH as a hero. He was just following some prophecy doing adventure with his friends but this book showed his heroic qualities, he really stood up for others and supported the team when there was no one to handle the situation. The time for the final big battle is here. Titan is tricky and cunning he has power to win. Gods are busy fighting Typhon and Kronos is planning to destroy Mount Olympus where no one is guarding. But Percy Jackson and his army of demigods are ready to give their life fighting to protect the Mount Olympus. Will they stand against the power of Titan? What is this prophecy everyone is worried about? My rating is 4 out of 5. The ending was perfect and it gave fuel to my thought. It ended with another puzzle which will make the readers to think hard and guess. Soon I will be starting another series by Rick Riordan – The Heroes of Olympus. 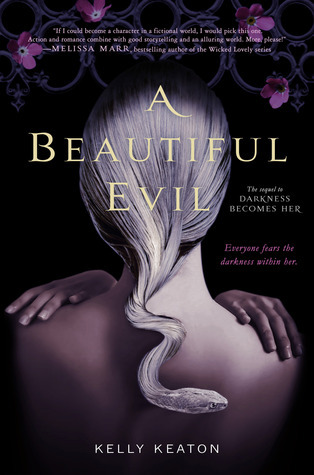 ‘A Beautiful Evil’ is second book in Gods and Monsters series. I read the first installment in the Gods & Monsters trilogy recently and fell in love with it. I was blown away with the setting as well as the mythological elements and while I did feel that a lot of that was a bit lacking compared to the first, then still it is a worthy follow up. Athena has Ari’s father and Violet. Ari is learning how to fight Athena, all her strength and weakness. Under the threat of her Medusa curse she does not have much time to waste. Now that people are supportive of her idea she has access to ancient library. With little bit research and lot of training she is now ready to take down Athena. But the war is not that easy as she thought. Her loved ones are at stake here, Athena is threatening to destroy her by using this weakness. There were few things I didn’t like, for example Athena and Ari attacking and withdrawing many times. I don’t see why there should be more meetings between this two when there is not going to be any real action. And I hated Ari whining at everything like how her life was sad and how she hated the training. My rating- 3 out of 5. 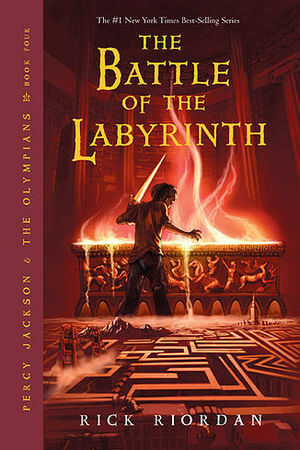 ”The battle of the Labyrinth” is the 4th book in Rick Riordan’s Percy Jackson series. It is written for 8-15 year old and if you are really looking for something bigger then this is not your choice. The vocabulary is very limited and the story has same pattern. But if you are a fan of Greek Mythology then this book is made for you. Percy Jackson is about to start his freshman year in school and but he doesn’t reach far. On orientation day he somehow gets into fight with demon cheerleaders. There is only one safe place to be in, that is Camp-half blood but there is a war breaking in and soon even the camp will not be safe for half bloods. Kronos’s army is planing to attack the camp through a secret gate of Labyrinth. Percy and his friends has to go for another quest to stop this invasion. But this time quest is dangerous, they have to go into the Labyrinth a sprawling dangerous underground. Giving it 4 stars would be an injustice to other better books. It was fun to read, full of action but kind of predictable as previous books in the series. And the encounter with kronos was not that exciting so my rating is 3 out of 5. One more book to read in this series. 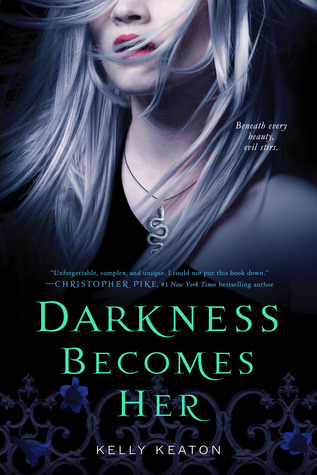 ”Darkness becomes her” is the first book in ”Gods and Monsters” series. It has a bit of Gothic tone and lot of Greek myths. There’s a unique setting, an eclectic cast of characters, and a surprising story that is sure to catch your attention. The book tells the story of 17-year-old Ari, who’s always mistreated as freak and got wrong people attracted because of her strange teal eyes and her silver hair that can never be cut or changed despite her best efforts. After growing up in the foster care system, Ari goes in search of information about her mother to a mental asylum where she finds out the secret about her curse. Even though the letter from her mother says her to run away she goes back to her birth place New 2 which is kind of infamous paranormal land. But soon she notices that people are afraid of her, she won’t stop until she finds out the answer but the truth is not always peaceful. My rating: 4 out of 5. It is an awesome book for YA paranormal fans and Greek Myth lovers. The concept is fresh and unique, I recommend this to everyone who loves a good paranormal read. 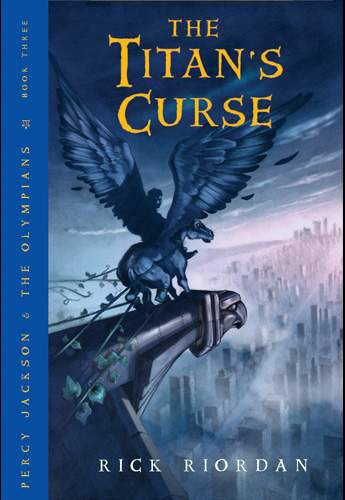 ”The Titan’s Curse” is the 3rd book in ”Percy Jackson and the Olympians” series. I must confess that this book is my least favorite book in the series so far. In the first book Percy is looking for the light bolt, in the second book he’s looking for the golden fleece and in this third book he’s looking for Annabelle. It follows the same formula, something is missing and Percy goes to strange places to find those things. Now Thalia is back and its up to Percy and her to go and rescue Annabelle. But only five half-blood heroes can join the quest to defeat the monster but according to Oracle not all will survive. More than the story I liked the ending. The book ended with a thrilling truth and I am sure it is going to be a nice twist in the series. 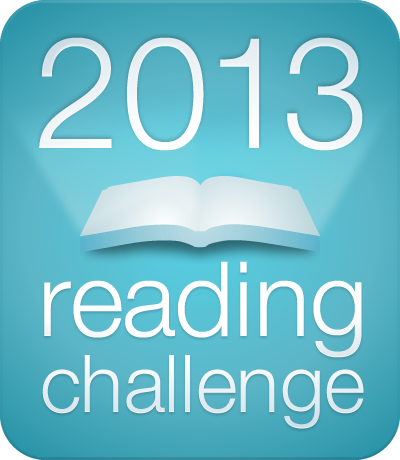 I loved 2 previous books and my rating was 4. But for this book my rating is 3 out of 5. I still like this series and I am definitely going to read the rest. 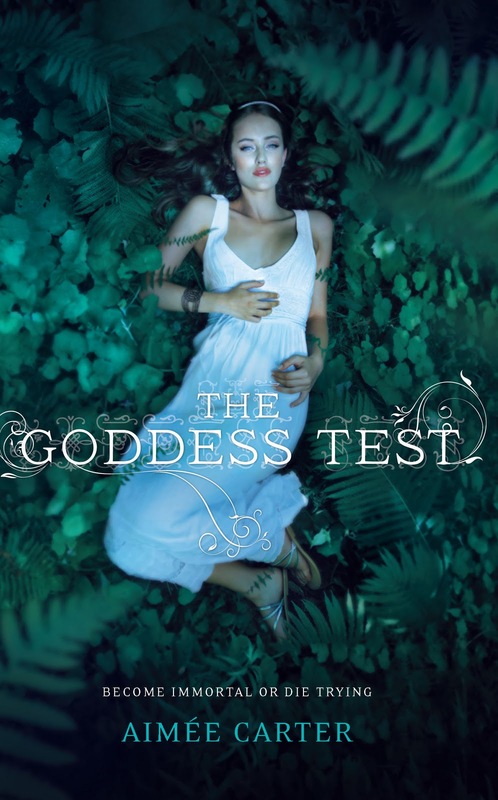 The Goddess Test by Aimee Carter is the first book in Goddess Test series. I love reading stories related to Greek Mythology and I have this burning passion to know more. So obviously when I came to know about this book’s concept I just wanted to read it. Greek Mythology has some of most entertaining, delightful and sinful stories. This book is about a test, Kate is the chosen one for this test. She had made a deal with dark and handsome Henry who claims to be Hades, god of the Underworld. Kate is not really in a mood for this game because her mother is sick and soon will be dying. But when Henry brings her friend back from death and agrees to keep her mother alive till she is ready to say her goodbye she agrees for this bargain. Now she is stuck in a big palace training for her big test. But soon she realizes that there is no way to go back if she fails, because every girl who had taken the test has died. It is a interesting read, I finished this book in a day. But some parts are poorly written but I enjoyed reading this modern tale of Greek gods. I never read much about Hades because he is always considered as terrifying one with no mercy. But this story gives completely different opinion about his character. My rating: 3 out of 5.